Justin Jackson was drafted in the 1st round of the 2007 MLB Draft as a shortstop. He is now entering his sixth season with the Blue Jays organization, but this time, is converting to a pitcher. 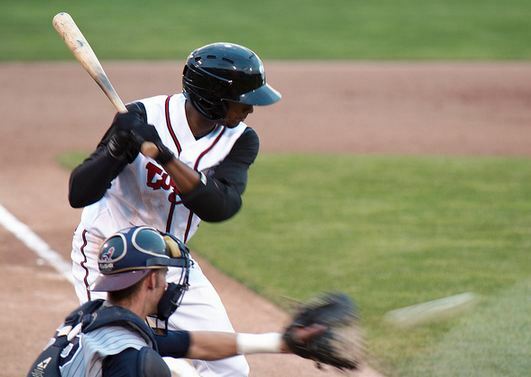 Justin Jackson was selected by the Toronto Blue Jays with the 45th overall pick in the 2007 MLB Draft out of Roberson High School. At the time, the young prospect played shortstop and was known for his bat, his speed, his defense and his plus arm. Now, after six years in the Blue Jays organization, Jackson has decided to use his skills to pursue another position: pitching. But as one can imagine, making a smooth transition from a position player to a pitcher is not an easy one, and because of that, Jackson admits that he has been working incredibly hard during the off-season to prepare for the 2013 season. “I’ve wanted to make myself as fundamentally sound as possible so I’ve been working with former major leaguer Darren Holmes who went to my high school and we have created a foundation of mechanics,” he explained. Prior to switching to pitching, Jackson spent 542 minor league games between Rookie League and Double-A with the Blue Jays, maintaining a career .230 average with 78 doubles, 18 triples, 15 home runs, 147 RBI and 81 stolen bases. “I have a few moments that I will remember from my offensive career, like when I hit a walk-off hit on the fourth of July in 2010. And of course, there are moments I will always look back on, but at this point in time, that part of me is in the past and I’m completely focused on my future,” Jackson said. The North Carolina native also admits that what also helped him focus on his future was being converted from a shortstop to an outfielder in 2011. 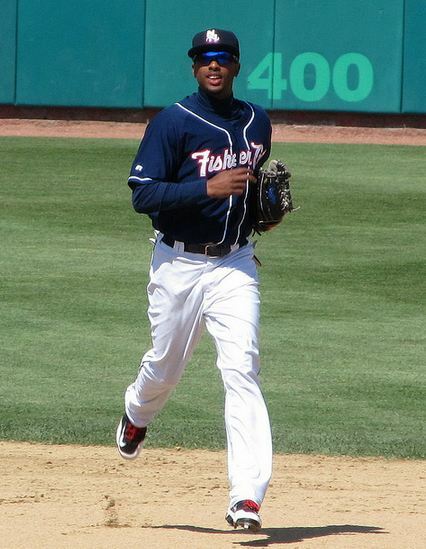 He also explains that playing centre field for the New Hampshire Fisher Cats in 2012 also helped his progression. During his transition to pitching, Jackson admits that he has been working on everything from mechanics to his delivery and his pitch repertoire, but indicated his pitch selection is being kept a secret so he can surprise not only his fans, but also his opposing hitters. Despite being told of the secrecy of his success, JaysProspects pried, asking Jackson whether he is finding comparable results from when he pitched in high school. In fact, in a previous JaysProspects interview with Jackson, the prospect indicated that he had thrown 93 MPH while attending Roberson High School, and apparently threw even harder than that in 2011. “Last season, while I was playing shortstop, I had a relay play from second base to home, and I threw the guy out for the last out of the inning,” Jackson replied. “When I got in the dugout one my teammates, Kenny Wilson, told me I hit 95 MPH on the scoreboard gun. So hopefully it’s still there! Jackson concluded that he will be able to help his team win due in part to his strengths both on and off the field. “Without a doubt, my best skill right now would be my arm strength,” he said. “Off the field, however, I would say that people gravitate towards me so my best skill would be that of influence. I always want to demonstrate positivity to make myself and everyone else around me better!